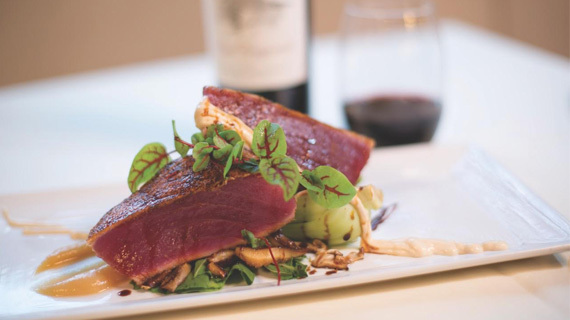 Blackening our tuna adds a depth of flavor and balances the saltiness of the miso kohlrabi puree. Cultivated in China since ancient times, bok choy has light, sweet flavor and crisp texture. Searing the bok choy heightens this fresh taste.